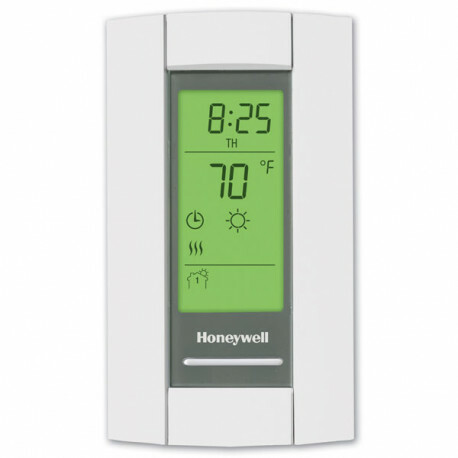 Honeywell TL8230A1003 LineVoltPRO 8000 Thermostat features 7-day programming - maintains the pre-set program schedule for up to 20% energy savings, or modifies the schedule to fit your lifestyle. The TL8230A1003 has large, clear, backlit display (easy to read in various lighting conditions) and is soundproofed for quiet operation (reduces the clicking noise commonly heard with conventional thermostats). The Honeywell LineVoltPRO 8000 digital thermostat provides electronic control of 208/240 Vac resistive rated electric baseboard heaters, radiant ceiling heat, convectors and fan forced heaters. If used as directed, Honeywell TL8230A1003 Double Pole electronic thermostat can save up to 10% on annual heating costs. Savings may vary based on geographic region and usage.